TECHNOLOGY REPORT | Technology news bits. Artificial Intelligence. SES, CES. If you see an obnoxious link in the header, please let me know via jhunkins@gmail.com A very odd hack placed a single link within the header which disappears after I go to admin mode. Not sure if I cleared this or not!? 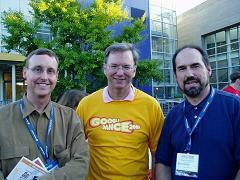 Tim Snyder is a journalist that frequently writes about sustainable building topics and green living. Tim is an in-house writer for Dr. Energy Saver, a network of home energy audit contractors. this discussion includes a circulatory system (ductwork), an HVAC “heart” that pumps conditioned air t throughout the house, and a multi-layered skin (the “building envelope”) that provides protection from the elements as well as insulation. In this “house-as-human” analogy, a home energy audit is the equivalent of a comprehensive health checkup, involving an extensive inspection to diagnose various energy-wasting conditions and prescribe appropriate treatments. A homeowner who follows this customized prescription for energy savings can expect several important benefits: reduced use of electricity and other energy sources like natural gas or fuel oil, improved “green” value because of lower carbon emissions, lower utility bills and improved indoor air quality. Not surprisingly, the science of saving energy (technically referred to as “building science”) has fostered a small revolution in hi-tech equipment and software. Where yesterday’s energy auditors were taught to sketch house elevations and floor plans on a paper pad and figure heating and cooling loads with a calculator, today’s auditors are entering values on a tablet touch screen to produce faster, more accurate energy audits that include specific recommendations and projected energy savings. Even the most basic DIY energy assessment programs include factors such as lighting (# of CFLs or LEDs compared to incandescent lights), appliances, water heater efficiency, insulation levels, window specifications and climate zone. While some companies (like kWhOURS www.kwhours.com and Optimiser www.optimiserenergy.com ) focus on providing energy auditing software for laptops and tablets, others offer hi-tech equipment. 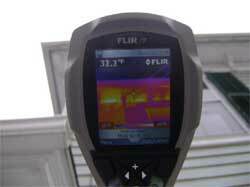 Using a specially designed infrared camera, you can produce thermographic images showing temperature variations that indicate air leaks and/or missing insulation. During a blower door test (a standard diagnostic procedure during an energy audit), a powerful, computer-controlled fan is installed in an exterior doorway to depressurize the house. With the house set to “winter” mode while the fan operates (windows and exterior doors shut), it’s possible to measure air leakage and even pinpoint leak locations using special smoke-generating tools. The technology being used in energy audits is quite remarkable. 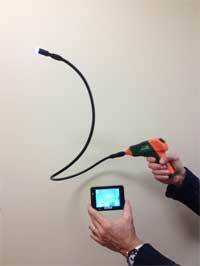 Just as medical specialists can assess internal organs with tiny cameras that enter the body through small incisions, an energy analyst can peer into wall cavities using a borescope. Utilizing fiber-optic technology, this diagnostic tool can pass still or video imagery through a flexible tube that the technician inserts into a building cavity through a small hole. Price is $349 for 16 gig and $399 for 32 gig. However it appears there will be a delivery delay of 2-3 weeks so it’s not clear if you can get one faster this way or waiting for stores like Best Buy to stock them. I’m betting online is best….. Artificial Intelligence research seeking “Strong AI” – essentially a self aware, conscious computing system where the machine would think as effectively as humans, had languished for many years after initial hype failed to pan out. Thankfully, this line of research is now coming back online in a very big way, with enough funding and supercomputing power to usher in the biggest technology breakthrough in the history of humanity. Thinking computers would revolutionize the world in many ways, allowing much more efficient resource development, utilization, and conservation. Barring the unlikely scenario of an “unfriendly AI” that would seek to destroy humanity, a “friendly AI” would bring massively faster problem solving and, very likely, would improve at a spectacular rate leading to greater and greater technological breakthroughs. Europe, however, has now pledged a billion Euro to the Human Brain Project under the stewardship of the man who is arguably the most knowledgeable in this field, Henry Markram. You can read Dr. Markram’s guest post here at Technology Report comparing his original “Blue Brain” project with the Darpa SyNAPSE efforts in the USA. Although the “cat brain controversy” was somewhat contentious, we’re hoping Dr. Markram’s desire to cooperate with others across the brain project spectrum – much as happened during the human genome project – will become the standard. January 2014 brings the Consumer Electronics Show “CES” to Las Vegas in one of the world’s top technology showcases. From Ford to IBM to small startups, companies come to the Internationl CES event to show off their latest and best consumer technology products. Unfortunately we won’t be reporting live from CES as we have for many years here at Technology Report, but we’ll bring you interesting items as they pop up at the show. 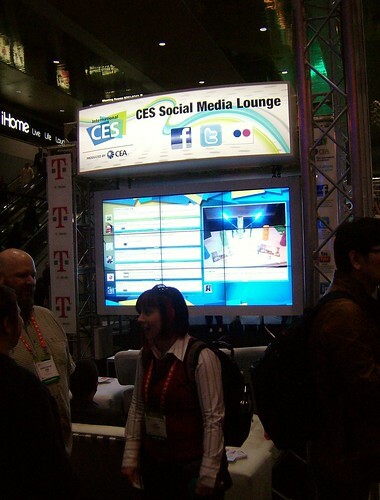 Social Media has become a big part of the CES Experience as bloggers and podcasters work alongside major media outlets to cover the Technology action from thousands of exhibitors throughout the huge Las Vegas Convention Center. Here, from Android Police, are the likely specs of the Google Nexus 5 phone coming out very, very soon – probably the Nexus 5 announcement by Google will be this week or next. The price, according to most rumors, will be a spectacular $299 (unsubsidized), making the Nexus 5 one of the great phone values in years. Global Startup Youth Globalstartupyouth.org is a 3-day high impact ideas accelerator taking place in Kuala Lumpur, Malaysia October 8-11. The event hosts 540 youth (18-25) from at least 90 countries who will work over 3 days to ideate and launch new projects that will hopefully evolve into ventures that are globally sustainable. The event was developed by StartupMalaysia with deep insights from partners, including the Ministry of Finance, Malaysia, the US State Department, YouNoodle Inc., UPGlobal, Cradle Fund Sdn Bhd, Global Entrepreneurship Week, and Startup Nations. San Francisco, CA – October 2, 2013 – The Global Startup Youth (GSY), a 3-day high impact ideas accelerator aimed at turning ideas into high growth ventures and taking place in Kuala Lumpur, Malaysia from October 8-11 today announced that 540 youth (18-25) from at least 90 countries will work over 3 days to ideate and launch new projects that will hopefully evolve into ventures that are globally sustainable. Designed by StartupMalaysia with deep insights from partners, including the Ministry of Finance, Malaysia, the US State Department, YouNoodle Inc., UPGlobal, Cradle Fund Sdn Bhd, Global Entrepreneurship Week, and Startup Nations, Global Startup Youth aims to catalyze the next generation of high-growth ventures and young entrepreneurs. The GSY also brings together 30 leaders from startup communities around the world through the Startup Nations Meet (hosted by Mr. Dhakshinamoorthy and Rebeca Hwang, co-founder of YouNoodle and Startup Malaysia) and 30 international grassroots startup leaders through the UPGlobal Facilitators Meet (led by Marc Nager of UPGlobal). – Jared Kleinert (18), Boca Raton, FL – an author and entrepreneur who is working to empower and mobilize young people to and inspire the 2 billion people in the world currently under the age of 20. – Joshua Harrington (18), New Zealand – a young entrepreneur who has had various web-based businesses since the age of 13. – Adrian Carabias Barroso (AGE), Mexico – an entrepreneur whose goal is to solve the world’s huge problem of the supply and demand for blood using social media. – Alanna Ford (24), United Kingdom – a young woman who believes that investing in women has the potential to uplift entire communities. – Carryn Goh (21), Malaysia – An inspired innovator who is working to re-invent ecommerce shopping for women in the SEA region. SES San Francisco Day 2 – Matt Cutts In the House! Yesterday I stuck to the Google tracks which, frankly, seemed kind of uninspired with the notable exception of Adam Singer’s great, fast paced presentation about the rise of mobile applications in terms of both usage and revenues. He also noted how few see themselves as experts in mobile marketing. Google’s dominance in search advertising is so supreme now that when I talked to the BING folks they were acknowledging how important Google advertising is to a strategy and basically just asking clients to add BING advertising into their mix. Surprisingly they didn’t know of any research about the efficacy of BING vs ADWORDS click advertising (or perhaps they just didn’t want to share it). I ran into Jennifer Slegg @JenSense who has a report somewhere about this and I’ll find it soon. Technology Report will be featuring coverage of SES San Francisco, though we’re not sure yet if we’ll be there live or just virtually. SES San Francisco (formerly “Search Engine Strategies”) is one of the world’s oldest and for many the top online marketing conference series. For more about the upcoming SES San Francisco visit the site and review the Conference Agenda Online. What would you do if you were charge of your own search engine? In an interactive panel, Google’s Patrick Thomas walks through some of the tough calls and difficult policy decisions you would need to think about as you try to organize trillions of web pages online. Jeffrey Hayzlett’s Running The Gauntlet is a rough-and-tumble guide for running and driving change through the business gauntlet. In this keynote, Hayzlett addresses what every marketing leader must face: Getting Ready, Getting Going, and Creating and Sustaining Momentum. Conference first timers will want to note that SES San Francisco is pretty fast and furious, a proverbial firehose of information. Review the materials carefully before the show and pick a few topics and speakers you’ll want to hear and be sure to attend those talks. Ask a question or introduce yourself to the speakers afterwards. Some of the best search insights I’ve ever had were from talking to speakers at social gatherings or in the hall. SES Parties: As search industry has matured so have the participants, but you’ll want to keep your eyes open for party opportunities with the many exhibitors at the Conference. Unfortunately the amazing “Google Dance”, held at the close of SES on the Google campus in Mountain View, is no longer the internet party highlight of the year. Strong rumors are surfacing that Yahoo will be buying social media site Tumbler.com on Monday for about 1.1 billion dollars. Unless Facebook owner Mark Zuckerberg takes the advice of Silicon Valley mini mogol Jason Calcanis (and he won’t), it would seem this deal is probably going to go through. Is this as great a move for Yahoo as Jason C seems to think? I’d say sure if it shakes Yahoo into a more appropriate roll as a key player in the online social media space. Despite massive amounts of activity and traffic, Yahoo’s been in Google’s shadow pretty much as along as Google’s been around to beat Yahoo like a rented mule – and beat them at pretty much everything they’ve both tried to do. Flickr is an exception to this, and perhaps Mayer’s gameplan will be to aquire projects that can give Google a run for the big advertising money in various venues. Could Mayer even have her eyes on search? Yahoo threw in that towl long ago, but Microsoft’s Bing seems to bounce back into the behemoth’s online strategy every few years. Bing’s quality is comparable to Google’s, so look for something interesting to happen with a Yahoo Microsoft partnership (or aquisition of YHOO by MSFT, as should have happened years ago when Microsoft offered to buy YHOO for about $31 per share, far above Yahoo’s curent valuation). New CEO Marissa Mayer was exactly what the Yahoo doctor ordered – somebody who will take calculated risks and has an intellectual and competitive incentive to succeed where so many others have conspicuously failed.